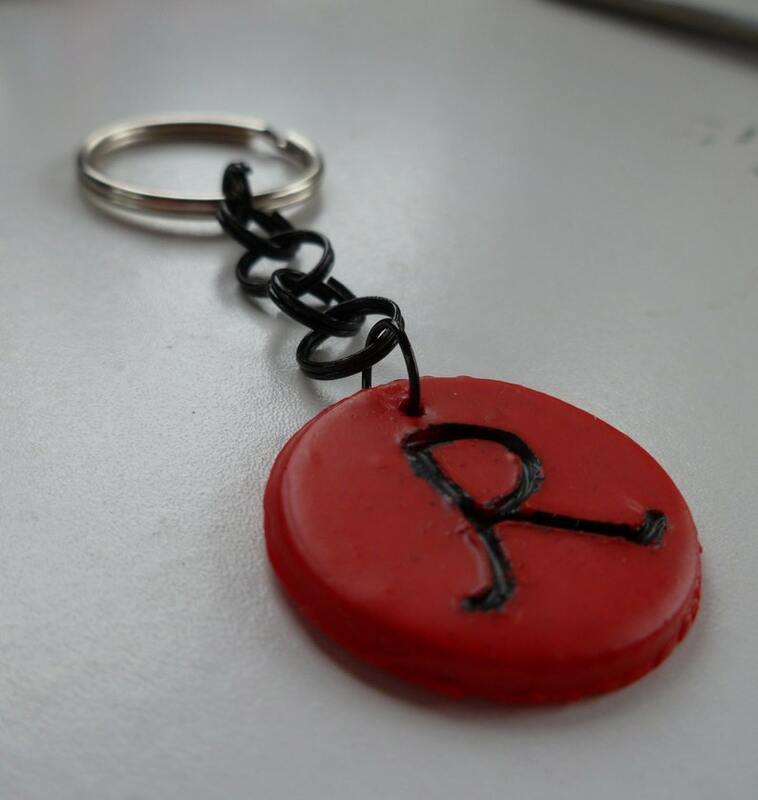 This key chain features a handmade polymer clay round with a handwritten R initial on it. It features a black crafted chain and a silver tone keyring. Wonderful gift for anyone with an R in their first or last name or for you! To see the size please refer to the picture with the US Quarter in it in my other listings. Many other initials available. Please see my other listings. Did look like the picture and it only lasted me a day before it fell apart. If you return the keychain I can refund your money. The keychain sent was the exact item shipped. This bracelet is perfect for the outfit with which I will wear it, and will blend beautifully with the other jewelry I will wear. The large focal bead has the appearance of cinnabar, adding an elegant and exotic flair. I received my order in no time at all. Great service! I love them...thank you so much! Beautiful necklace -- Thank you! Credit Cards and Echecks can be processed through paypal. Money Orders, Personal Checks, and Cash accepted but there is a 10 day waiting period before item is shipped. I.E. I must receive and process payment and then item will be shipped. No exchanges but a refund will be provided upon return of the item. Items are shipped via USPS with delivery confirmation UPON request. I do accept custom orders!!! Please convo and ask for anything you might like!! I am open to all inquiries.